We know that neanderthals and humans interbred, and that some people carry the genetic markers of that interbreeding. A new study looks at what it means to have neanderthal DNA—and researchers have found everything from a propensity for nicotine addiction to multiple genes affecting depression. The study, published in Science, concludes that over 100,000 genes are likely to have been inherited from our long-dead neanderthal ancestors. To get a picture of which genes came from the distant past, researchers took a look at a map of the neanderthal haplotype—the many variations of genes that a species carries—and compared it to the genes carried by 28,000 Europeans who’d had their genetic profile linked to their medical records. By comparing the genetic profiles of neanderthals and modern humans, the researchers came up with a list of 135,000 genetic variations likely to have been passed to humans by neanderthals. They then compared the genes inherited by the neanderthals to the medical records of the humans carrying those genes. What they found was a mixed bag of genes. Some were probably useful for neanderthals, but are less than useful to modern humans. For example, a certain group of genes produce keratinocytes, which reside in the lower layer of the skin and divide and migrate upwards to form the outer layer. On the surface, dead keratinocytes provide a straightforward barrier to viruses, bacteria, and other debris. Under the skin, living keratinocytes signal inflammation when skin gets invaded by bacteria or pathogens, and protect the skin from UV radiation. Producing a lot of them would come in handy when moving to new environments. Unfortunately, when they reproduce too quickly they make scaly scabs. The condition, called keratosis, is one that those with these particular neanderthal genes are prone. People with other sets of neanderthal genes are more prone to heart attacks, embolisms, or complications during pregnancy, because their blood has a tendency to coagulate easily. That was probably useful when the mammoth hunt was likely to open up wounds, but is less handy now, when no one cuts themselves getting a burger. And then there’s just a random gene associated with a much higher than normal likelihood for nicotine addiction. Nicotine is most famously in tobacco, a new-world plant, and neanderthals died out long before tobacco came to Europe. It seems their descendants just got unlucky with that one. Finally, the researchers found something both intriguing and frustrating. 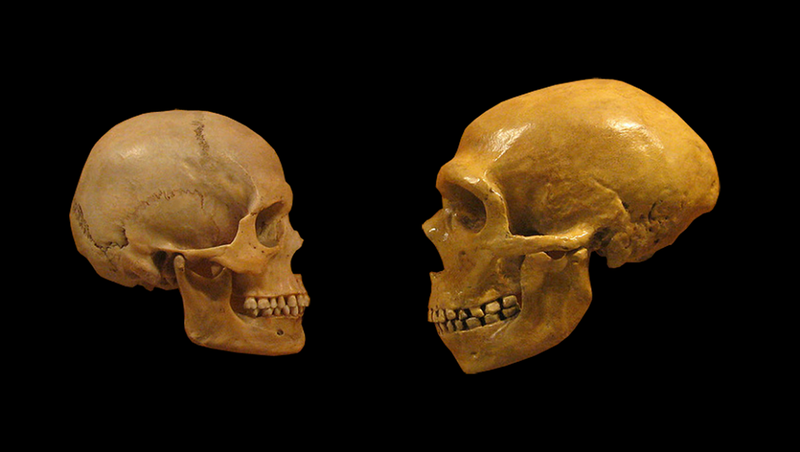 Some neanderthal genes are linked to psychiatric disorders—especially depression. “The brain is incredibly complex,” explained study author Corinne Simonti in a statement, “so it’s reasonable to expect that introducing changes from a different evolutionary path might have negative consequences.” But neanderthal genes aren’t only a bad thing. While some variants in the genes were linked with increased rates of depression, others were linked to decreased rates. So if you have neanderthal genes, there’s no reason to curse your family just yet. Maybe just stay away from cigarettes.